A visually-rich film like Ghost in the Shell that’s filled with futuristic sets and cyborg characters could have easily relied on green screens and digital effects to bring its entire world to life. But as Adam Savage discovered at a recent visit to Weta Workshop, the film version of the iconic manga still turned to animatronics to realize some of its most iconic characters. The film’s robot geishas, who play a key part in advancing Scarlett Johansson’s character’s storyline, look like life-size porcelain dolls brought to life through a mix of modern electronics and old-school clockwork mechanisms. But instead of using on-set performers wearing green screen motion-capture suits that would later be swapped with digital replacements in post-production, the visual effects team at New Zealand’s Weta Workshop, famous for its extensive work on the Lord of the Rings series, created detailed costumes and animatronic masks so actors could interact with the geisha characters on set. 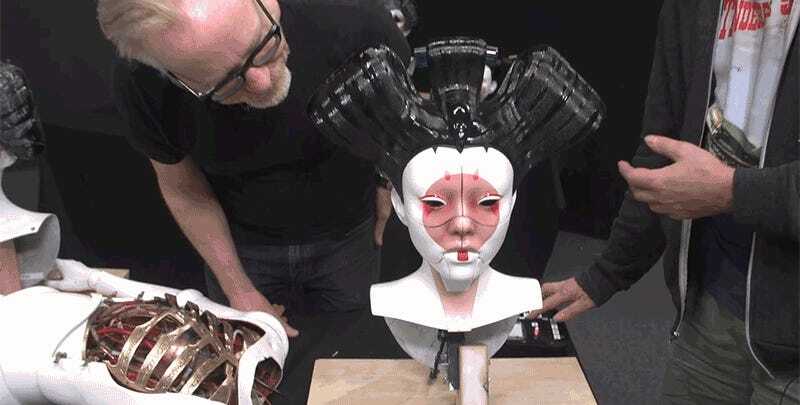 As Adam Savage and the team at Tested discovered, a Japanese actress was scanned and digitized to create the base look for the geisha’s faces, while a combination of 3D printing and hand sculpting and finishing were used to create the polished, high-gloss look of each mask. The inside of each geisha costume was customized to comfortably fit the various performers who would be wearing them on set, which included a set of tiny fans that helped keep them cool while performing under intense studio lighting. Creating the geisha characters through animatronics, instead of using sophisticated 3D software, sounds like a lot of extra work—especially when you consider Weta needed an entire support team on set to ensure each mask worked perfectly during filming. 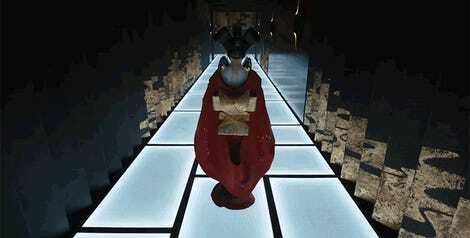 But by combining both traditional and modern visual effects techniques, Ghost in the Shell’s robot geishas were brought to life with a perfect mix of beauty and total creepiness. Are you excited for Ghost in the Shell yet?